This faucet aerator limits the maximum flow rate to just 1.0 gallons per minute (measured at 60 psi of water pressure). Suitable for bathroom fixtures. 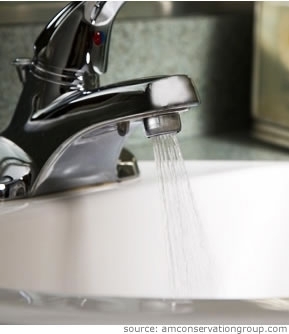 Laminar multiple stream non-aerating spray widens for efficient rinsing with less water, providing less heat loss and more energy savings than aerated single stream faucet aerators. Chrome-plated with a solid brass body, Santoprene® washers and dual-threaded for easy installation on most faucets.